The Best Father's Day Gift Ideas for your Dad! It's that time of year again when we get the chance to celebrate Dads and everything they do for us. 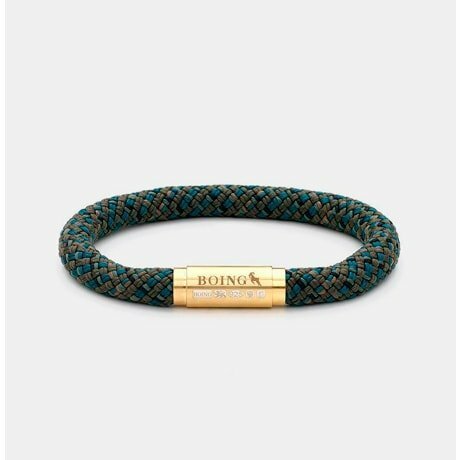 With Dad-style wowing the catwalks, there has never been a better time to show your Dad you care than with the gift of jewelry this Father's Day. The Best Father's Day Gift Ideas for your Dad! It's that time of year again when we get the chance to celebrate Dads and everything they do for us. 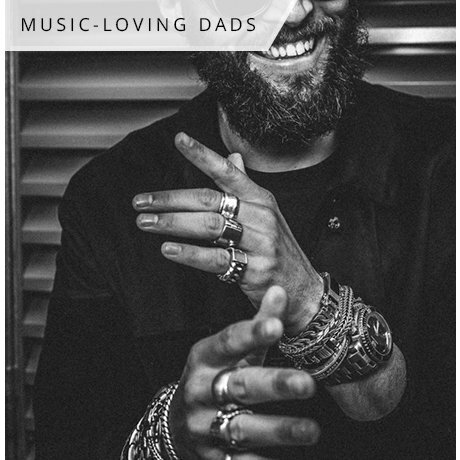 With Dad-style wowing the catwalks, there has never been a better time to show your Dad you care than with the gift of jewelry this Father's Day. The Best Father's Day Gift Ideas for your Dad! Dads can be notoriously difficult to buy for - but it's time to ditch the comedy socks and throw out the books about golf. 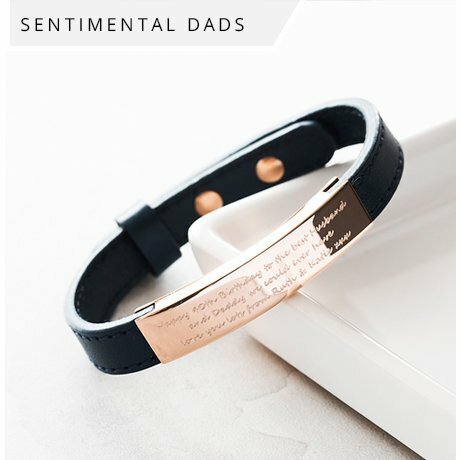 Make this the year you treat your Dad to something truly special with a piece of jewelry from one of JewelStreet's fantastic independent designers. To make life as easy as possible for you, we've put together a selection of stunning pieces to suit Dad, whatever his tastes. 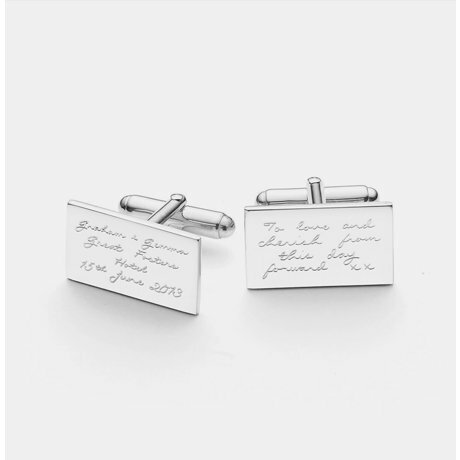 Bring a tear to the eye of Sentimental Dads with a special message engraved onto a pendant or cufflinks. 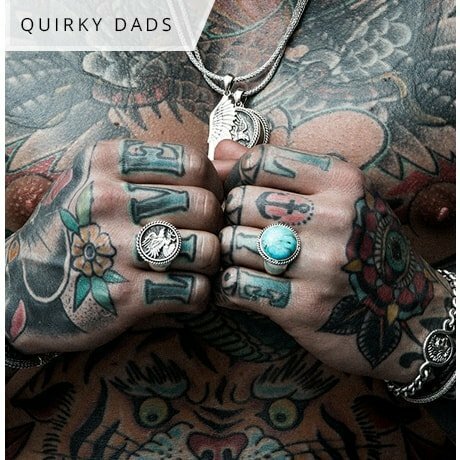 Music-loving Dads who can't resist a spot of air guitar at every opportunity can feed their inner rock star with guitar plectrum pendants and punk inspired designs, whilst Traveler Dads can enjoy bead necklaces and rope bracelets, perfect for the beach. 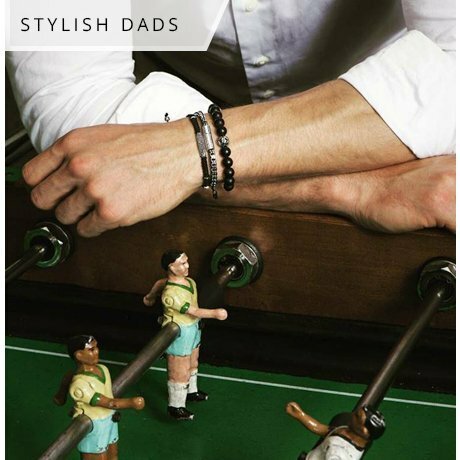 Break the mould for Quirky Dads with pieces that are sure to stand out in a crowd or impress your Super Stylish Dad with our range of fashion-forward jewelry. 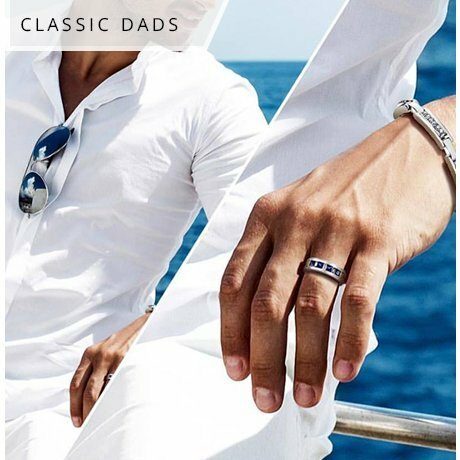 And lastly, let's not forget the Classic Dad, revamp his wardrobe with some individually designed cufflinks or our fresh take on men's bracelets. Whatever your Dad, make this Father's Day one to remember.